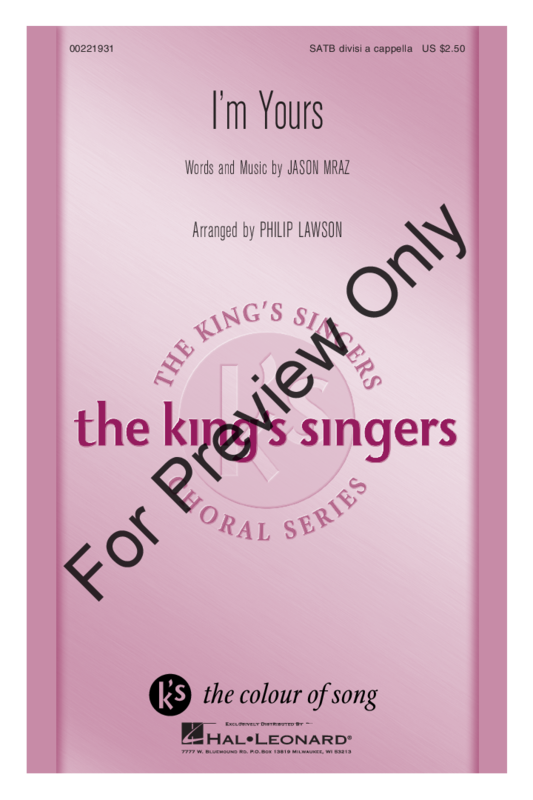 The King's Singers put their stamp on Jason Mraz's pop hit from 2008 with this solo-driven arrangement supported by a sweet harmonic backup, all with a light reggae feel. 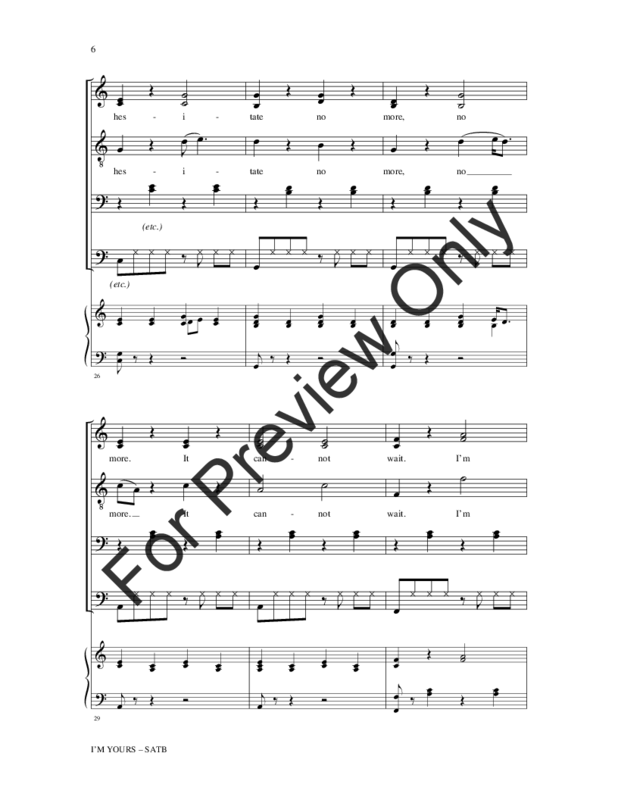 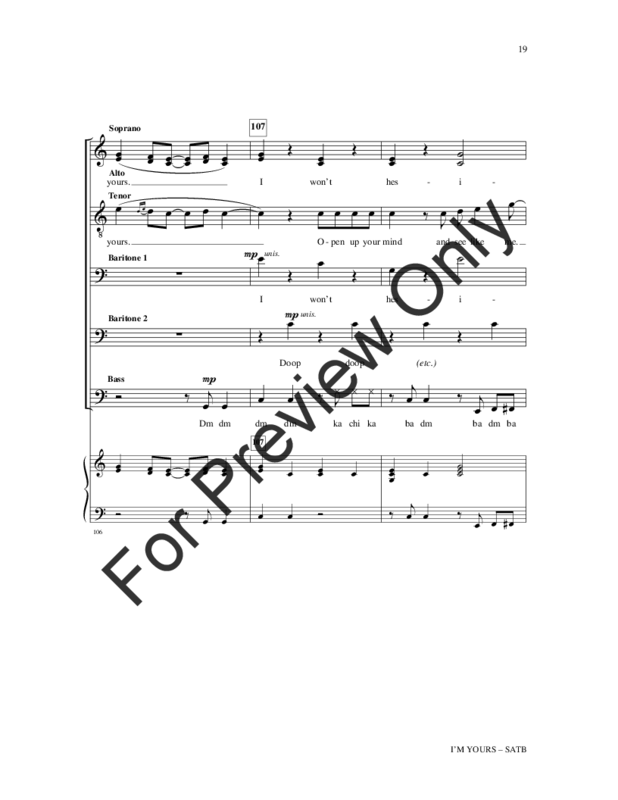 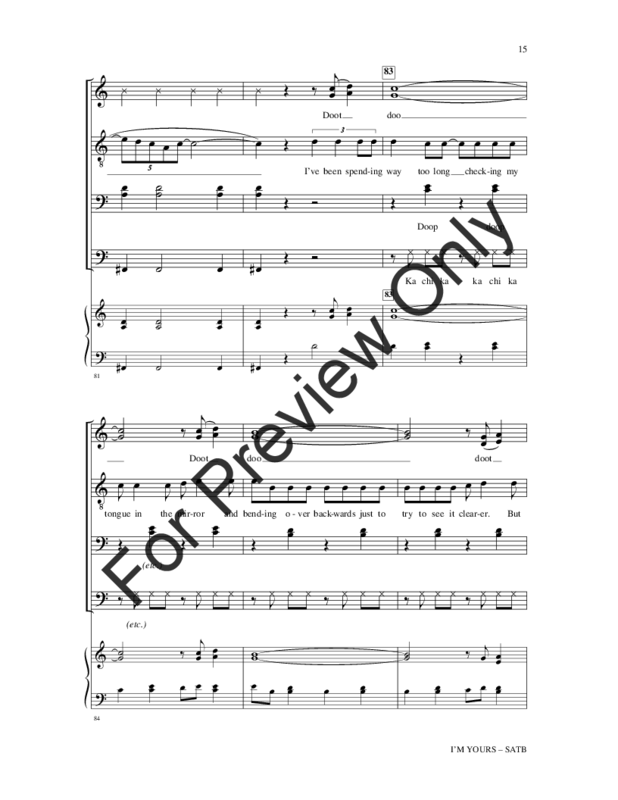 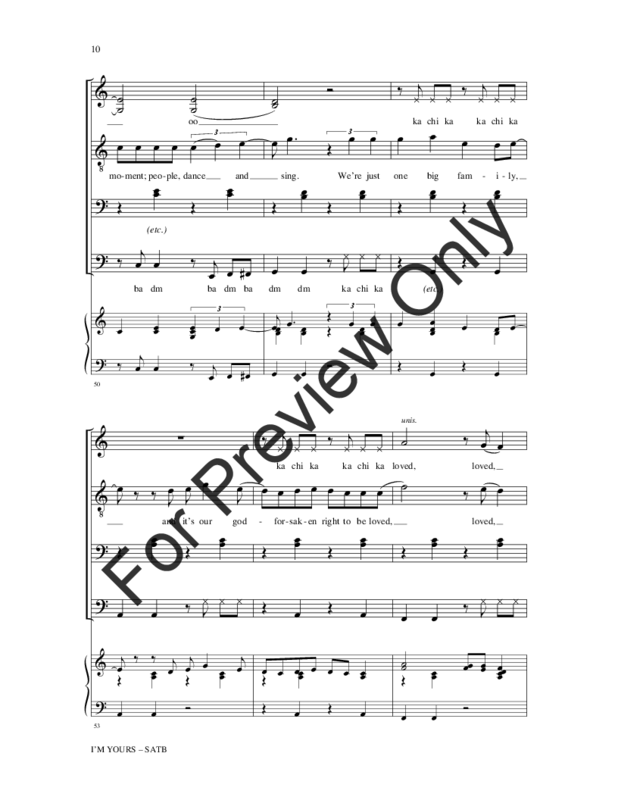 Vocal percussion, expanded harmonies and a contemporary a cappella feel make this a winning arrangement that will have your audience wishing they could sing along. Highly recommended!